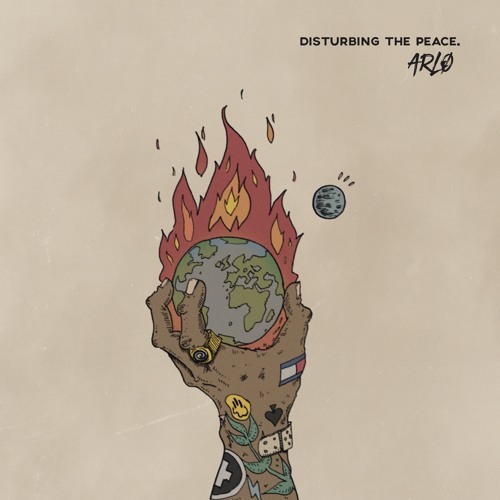 Home / Arlo / brand new / música / ARLO Unveils New Single "Disturbing The Peace"
ARLO Unveils New Single "Disturbing The Peace"
London pop newcomer ARLO is back with a brand new single Disturbing The Peace. I became a fan of his after I listened to his single Share The Room and this new one does not disappoint. ARLO's soulful vocals flow atop an intricate pop production and is packed with lots of energy and attitude. Disturbing The Peace has all the makings of an alt-pop anthem, with expansive beats and a highly infectious, anthemic chorus. Stream it below! Disturbing The Peace is fun a song. It’s full of energy and character. I’m normally distraught and broken in my records. This is a side of me that people haven’t really seen yet. It’s bold, brash and cheeky. It’s full of bravado and grandiosity. I’m literally busting out of the gate in a very loud way. ARLO is currently working on a new EP and has some live shows to be announced soon, so keep a close eye on him over the coming months.